Myanmar is home to thousands of stupas and pagodas around the major city of Yangon, but the Sule Pagoda is located right in the middle of downtown Yangon (formerly Rangoon, the capital city). 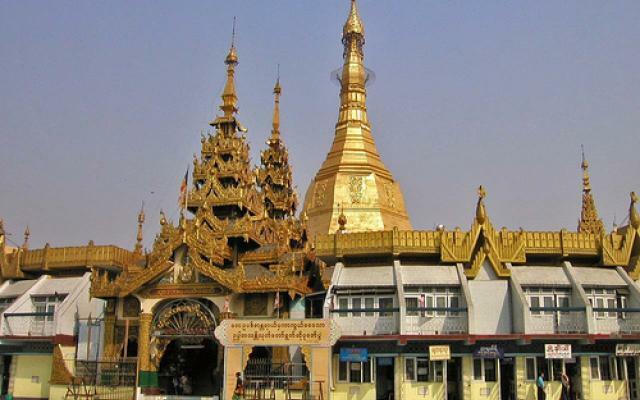 Believed to be more than 2,000 years old, making it older than the famous Shwedagon Pagoda, Sule Pagoda has become an important political hub in the country that served as a rallying point for the 1988 uprisings and the 2007 Saffron Revolution. It is a Burmese stupa that is now considered an important religious, political and ideological venue.